VX 920 Series - ConnecTel, Inc. Rain, snow, fire suppression spray and dust are no problem for these radios manufactured to strict IP ratings. The VX-920E series meets international waterproofing standard IP57 where water does not harm the radio when submersed to a depth of 1 metre for up to 30 minutes. Includes DTMF paging and unmatched flexibility in scanning features that are designed to optimise operation in a wide variety of environments. In addition to basic scan, you also get Priority, Dual Watch, Follow-me, Follow-me Dual Watch and Talk Around scanning with a programmable home channel function built-in. When help is needed, the VX-920E Series has Emergency notification that will switch to a designated channel and send an emergency alert. The radios also include Remote Listen which turns the radio on remotely if needed to check out what is happening near the radio. With 700 mW audio output, be assured of hearing critical information you need. With the Sub-Receiver option, get dual-band receive for greater flexibility and multi-agency interoperability when full situational awareness at all times is a must. 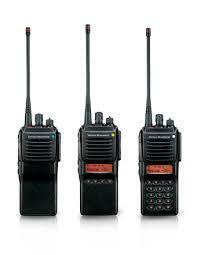 Single VHF or UHF transmit with dual-band receive makes Public Safety operations less stressful and more productive.